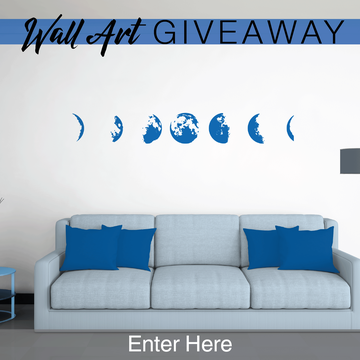 Wall Art Phases of the Moon Giveaway Contest. We are giving away a large blue phases of the moon sticker. The contest will close on the 15th of August 2017.